Figaro here, there and everywhere – the energetic barber who tricks the elderly and helps the young lovers is back again. Rossini’s beloved music presented in a production that is a homage to the black and white comic Hollywood films. Figaro, a vagabond, wakes up after having spent the night in the cellar beneath a barbershop. The prospect of having his own barbershop sends Figaro daydreaming, and as he meets a former employer, Count Almaviva, Figaro pretends to be a sought – after barber. 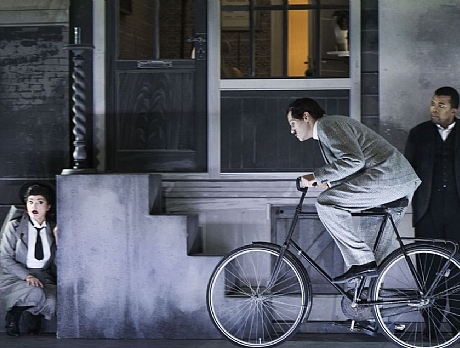 Count Almaviva is pursuing a young woman, Rosina, who lives in the house next the barbershop. He hires Figaro, always eager for a paid job, to help him woo the girl. Orphaned Rosina lives under the authority of the wealthy Doctor Bartolo who plans to marry her, much to the chagrin of the young woman. Plans must be make in order to cheat Bartolo. Berta, Bartolo's housekeeper, is in love with Bartolo and is having an affair with him. While the two are engaged in a dalliance in Berta's room, Almaviva furtively makes advances to Rosina' presenting himself as Lindoro, a poor student. Rosina is increasingly charmed by the young man, but Basilio, a goon and music teacher employed by Bartolo, interrupts the flirtation. Figaro overhears a conversation between Basilio and Bartolo: Basilio has found out that Count Almaviva is pursuing Rosina and suggests that Bartolo rids himself of his rival by spreading gossip about the count, but Bartolo prefers to expedite his wedding plans. Bartolo and Basilio head to the notary for a marriage contract. Figaro visits Rosina, warning her of Bartolo's schemes and receiving her letter for Lindoro. Almaviva, disguised as a drunken soldier, shows up at Doctor Bartolo's house demanding to be quartered. 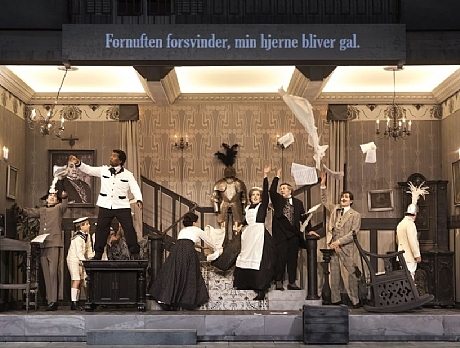 Bartolo refuses and a brawl ensues during which Lindoro manages to slip a love note to Rosina. 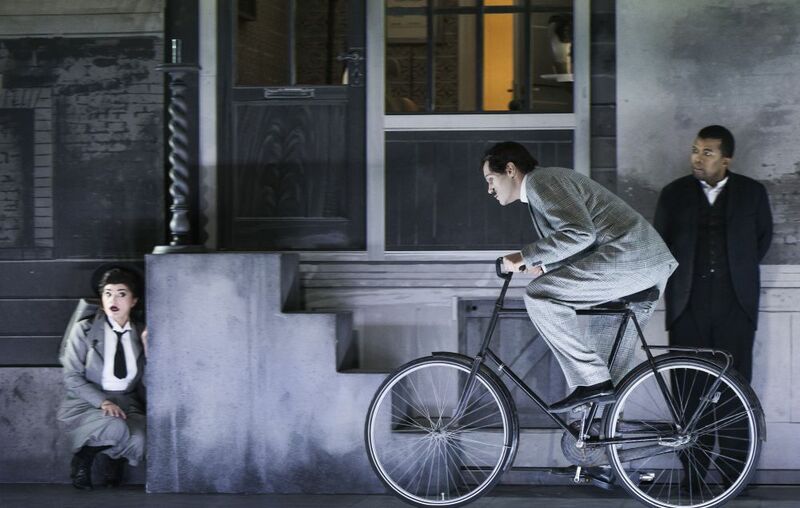 Figaro disguises Almaviva again – this time as a music teacher – and the Count knocks on Bartolo's door, claiming that his name is Don Alonso, that Basilio has taken ill and that he himself will be teaching Rosina. He wins Bartolo's confidence by showing him Rosina's note to Lindoro, which he claims to have intercepted. Meanwhile Figaro must tinker his way through a clumsy shaving of Bartolo. He fails, however, to distract Bartolo from overhearing Almaviva and Rosina plotting their elopement. 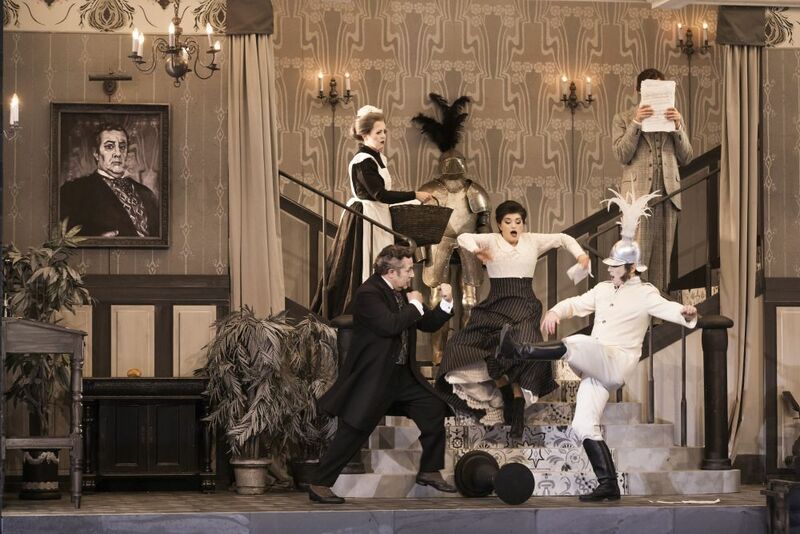 Furious, Bartolo attempts to catch the Count and Figaro, who manage to escape. Bartolo tells Rosina that her dear Lindoro is merely a flunky of Count Almaviva who intends to give her over to the Count as his mistress. Rosina loses all hope, as Berta is devastated, realizing that Bartolo means to marry his young ward. 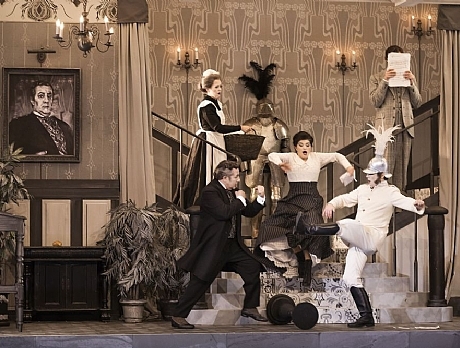 Figaro and Almaviva return to Rosina, who furiously throws at them the accusations made by Bartolo about their supposed collusion with Count Almaviva. Almaviva reveals that Lindoro and the Count are the same and wins over Rosina. Rosina and Almaviva fail to heed Figaro's warnings that Bartolo is on his way. With no time left to escape unseen, the young couple decide instead to get married on the spot. They summon the notary and threaten Basilio to be their witness. Bartolo arrives only to find that the marriage contract has already been signed. Do you want to know more about the opera you are about to attend? Do you want to find out some back stage secrets? Do you want to meet the artists after the performance? The Israeli Opera enables you to widen your opera experience with a variety of pre performance and post-performance events. On Saturday morning before the premiere, the creators of the production and several of the soloists gather to discuss the opera, the production, their own career and today’s opera world. This is a unique opportunity to learn as much as possible about the production and meet the director, conductor, designers and some of the participating soloists. Musical excerpts from the opera illustrate the discussion. Towards Opening takes place before some of each season’s productions. 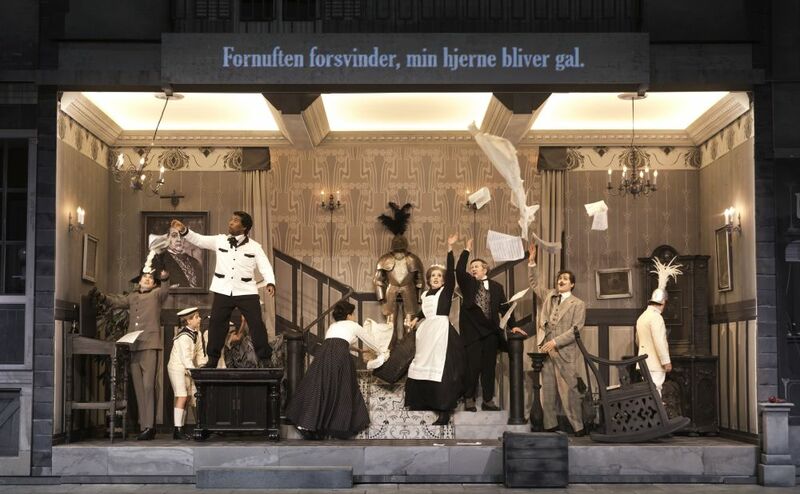 One hour before each opera performance there is a 30-minute introductory lecture in the auditorium (in Hebrew). Opera staffers present the opera and the production and enable the audience to get some extra information a short time before attending the performances. Admission is free for ticket holders. The curtain has just descended on the final scene of the opera. The hour is late. Nut the experience was riveting. This is the time to meet several of the performers. Come to listen and to speak. Ask questions. Meet the artists. A once in a lifetime opportunity to meet the artists who have just excited you on the stage. Opera Talkbacks takes place on the second level of the Opera House foyer and last around 30 minutes. Admission free. Opera Talkback takes place on several evenings in each production. Details can be found at the Israeli opera’s website.